The Mercedes-Benz C-Class Sedan has long been one of the most popular vehicles in the Mercedes-Benz line, and for good reason. As an entry-level model from a manufacturer renowned for its luxurious design, the C-Class Sedan represents an ideal combination of deluxe design and attainability. It offers some of the finest features and amenities out there, like the available 13-speaker, 590-watt Burmester® Audio system, so you get rich, beautiful sound for whatever you want to play through it. And that’s just the start of its incredible offerings. The C-Class Sedan is packed with innovative technology to make your driving experience incredible. Its proprietary COMAND® navigation system gives you comprehensive directions to guide you wherever you want to go, and the available touchpad controls make using it intuitive and easy. And the Driver-Assistance package brings in a wide range of intelligent safety features, like adaptive cruise control and a steering assist system, so you can drive smarter and safer. All of these features come together to make the Mercedes-Benz C-Class Sedan one of the finest vehicles on the road, and you can find your own here at Mercedes-Benz of El Dorado Hills. With our diverse inventory and flexible financing options, purchasing a C-Class Sedan from us is an easy, painless experience. So contact us online, and schedule yourself a test drive today! Delivers 34 Highway MPG and 23 City MPG! This Mercedes-Benz C-Class delivers a Intercooled Turbo Premium Unleaded I-4 2.0 L/121 engine powering this Automatic transmission. Window Grid Antenna, Wheels: 17 Twin 5-Spoke, Valet Function. * This Mercedes-Benz C-Class Features the Following Options *Urethane Gear Shift Knob, Turn-By-Turn Navigation Directions, Trunk Rear Cargo Access, Trip Computer, Transmission: 9G-TRONIC 9-Speed Automatic, Tires: 225/50R17, Tire Specific Low Tire Pressure Warning, Systems Monitor, Strut Front Suspension w/Coil Springs, Side Impact Beams. * Stop By Today *A short visit to Mercedes Benz of El Dorado Hills located at 1000 Mercedes Lane, El Dorado Hills, CA 95762 can get you a trustworthy C-Class today! *Golden Rule*We are a Golden Rule company dedicating ourselves to world-class customer service in an environment of trust, dignity, and fun. George Grinzewitsch, CEO and Owner, Von Housen Automotive Group For more than 60 years, Von Housen Automotive Group has delivered high-end luxury vehicles to discerning clients throughout the greater Sacramento area, and is the place more people trust for quality, service, and a large selection of Mercedes-Benz vehicles. Von Housen Automotive Group operates three Mercedes-Benz dealerships in Northern California, including Mercedes-Benz of Sacramento, Mercedes-Benz of Rocklin and Mercedes-Benz of El Dorado Hills. The group also owns Mercedes-Benz Sprinter dealerships in both Rocklin and Sacramento. Mercedes-Benz of North America Von Housen Automotive Group has more than 300 dedicated employees and sells approximately $301,000,000 in new and used vehicles, parts and service annually. The team is also a leader in supporting community, philanthropic and non-profit initiatives. Stop by Mercedes-Benz of El Dorado Hills to experience a wide selection of Mercedes-Benz luxury cars, presented by Northern California’s leading team of sales advisors. Reach us online, or give us a call.Delivers 34 Highway MPG and 23 City MPG! This Mercedes-Benz C-Class delivers a Intercooled Turbo Premium Unleaded I-4 2.0 L/121 engine powering this Automatic transmission. Window Grid Antenna, Wheels: 17 Twin 5-Spoke, Valet Function. * This Mercedes-Benz C-Class Features the Following Options *Urethane Gear Shift Knob, Turn-By-Turn Navigation Directions, Trunk Rear Cargo Access, Trip Computer, Transmission: 9G-TRONIC 9-Speed Automatic, Tires: 225/50R17, Tire Specific Low Tire Pressure Warning, Systems Monitor, Strut Front Suspension w/Coil Springs, Side Impact Beams. * Stop By Today *A short visit to Mercedes Benz of El Dorado Hills located at 1000 Mercedes Lane, El Dorado Hills, CA 95762 can get you a trustworthy C-Class today! *Golden Rule*We are a Golden Rule company dedicating ourselves to world-class customer service in an environment of trust, dignity, and fun. George Grinzewitsch, CEO and Owner, Von Housen Automotive Group For more than 60 years, Von Housen Automotive Group has delivered high-end luxury vehicles to discerning clients throughout the greater Sacramento area, and is the place more people trust for quality, service, and a large selection of Mercedes-Benz vehicles. Von Housen Automotive Group operates three Mercedes-Benz dealerships in Northern California, including Mercedes-Benz of Sacramento, Mercedes-Benz of Rocklin and Mercedes-Benz of El Dorado Hills. The group also owns Mercedes-Benz Sprinter dealerships in both Rocklin and Sacramento. Mercedes-Benz of North America Von Housen Automotive Group has more than 300 dedicated employees and sells approximately $301,000,000 in new and used vehicles, parts and service annually. The team is also a leader in supporting community, philanthropic and non-profit initiatives. Stop by Mercedes-Benz of El Dorado Hills to experience a wide selection of Mercedes-Benz luxury cars, presented by Northern California’s leading team of sales advisors. Reach us online, or give us a call. Boasts 34 Highway MPG and 23 City MPG! This Mercedes-Benz C-Class boasts a Intercooled Turbo Premium Unleaded I-4 2.0 L/121 engine powering this Automatic transmission. Window Grid Antenna, Wheels: 17 Twin 5-Spoke, Valet Function. * This Mercedes-Benz C-Class Features the Following Options *Urethane Gear Shift Knob, Turn-By-Turn Navigation Directions, Trunk Rear Cargo Access, Trip Computer, Transmission: 9G-TRONIC 9-Speed Automatic, Tires: 225/50R17, Tire Specific Low Tire Pressure Warning, Systems Monitor, Strut Front Suspension w/Coil Springs, Side Impact Beams. * Stop By Today *A short visit to Mercedes Benz of El Dorado Hills located at 1000 Mercedes Lane, El Dorado Hills, CA 95762 can get you a tried-and-true C-Class today! *Golden Rule*We are a Golden Rule company dedicating ourselves to world-class customer service in an environment of trust, dignity, and fun. George Grinzewitsch, CEO and Owner, Von Housen Automotive Group For more than 60 years, Von Housen Automotive Group has delivered high-end luxury vehicles to discerning clients throughout the greater Sacramento area, and is the place more people trust for quality, service, and a large selection of Mercedes-Benz vehicles. Von Housen Automotive Group operates three Mercedes-Benz dealerships in Northern California, including Mercedes-Benz of Sacramento, Mercedes-Benz of Rocklin and Mercedes-Benz of El Dorado Hills. The group also owns Mercedes-Benz Sprinter dealerships in both Rocklin and Sacramento. Mercedes-Benz of North America Von Housen Automotive Group has more than 300 dedicated employees and sells approximately $301,000,000 in new and used vehicles, parts and service annually. The team is also a leader in supporting community, philanthropic and non-profit initiatives. Stop by Mercedes-Benz of El Dorado Hills to experience a wide selection of Mercedes-Benz luxury cars, presented by Northern California’s leading team of sales advisors. Reach us online, or give us a call.Boasts 34 Highway MPG and 23 City MPG! This Mercedes-Benz C-Class boasts a Intercooled Turbo Premium Unleaded I-4 2.0 L/121 engine powering this Automatic transmission. Window Grid Antenna, Wheels: 17 Twin 5-Spoke, Valet Function. * This Mercedes-Benz C-Class Features the Following Options *Urethane Gear Shift Knob, Turn-By-Turn Navigation Directions, Trunk Rear Cargo Access, Trip Computer, Transmission: 9G-TRONIC 9-Speed Automatic, Tires: 225/50R17, Tire Specific Low Tire Pressure Warning, Systems Monitor, Strut Front Suspension w/Coil Springs, Side Impact Beams. * Stop By Today *A short visit to Mercedes Benz of El Dorado Hills located at 1000 Mercedes Lane, El Dorado Hills, CA 95762 can get you a tried-and-true C-Class today! *Golden Rule*We are a Golden Rule company dedicating ourselves to world-class customer service in an environment of trust, dignity, and fun. George Grinzewitsch, CEO and Owner, Von Housen Automotive Group For more than 60 years, Von Housen Automotive Group has delivered high-end luxury vehicles to discerning clients throughout the greater Sacramento area, and is the place more people trust for quality, service, and a large selection of Mercedes-Benz vehicles. Von Housen Automotive Group operates three Mercedes-Benz dealerships in Northern California, including Mercedes-Benz of Sacramento, Mercedes-Benz of Rocklin and Mercedes-Benz of El Dorado Hills. The group also owns Mercedes-Benz Sprinter dealerships in both Rocklin and Sacramento. Mercedes-Benz of North America Von Housen Automotive Group has more than 300 dedicated employees and sells approximately $301,000,000 in new and used vehicles, parts and service annually. The team is also a leader in supporting community, philanthropic and non-profit initiatives. Stop by Mercedes-Benz of El Dorado Hills to experience a wide selection of Mercedes-Benz luxury cars, presented by Northern California’s leading team of sales advisors. Reach us online, or give us a call. Boasts 34 Highway MPG and 23 City MPG! This Mercedes-Benz C-Class boasts a Intercooled Turbo Premium Unleaded I-4 2.0 L/121 engine powering this Automatic transmission. Window Grid Antenna, Wheels: 17 Twin 5-Spoke, Valet Function. * This Mercedes-Benz C-Class Features the Following Options *Urethane Gear Shift Knob, Turn-By-Turn Navigation Directions, Trunk Rear Cargo Access, Trip Computer, Transmission: 9G-TRONIC 9-Speed Automatic, Tires: 225/50R17, Tire Specific Low Tire Pressure Warning, Systems Monitor, Strut Front Suspension w/Coil Springs, Side Impact Beams. * Visit Us Today *Come in for a quick visit at Mercedes Benz of El Dorado Hills, 1000 Mercedes Lane, El Dorado Hills, CA 95762 to claim your Mercedes-Benz C-Class! *Golden Rule*We are a Golden Rule company dedicating ourselves to world-class customer service in an environment of trust, dignity, and fun. George Grinzewitsch, CEO and Owner, Von Housen Automotive Group For more than 60 years, Von Housen Automotive Group has delivered high-end luxury vehicles to discerning clients throughout the greater Sacramento area, and is the place more people trust for quality, service, and a large selection of Mercedes-Benz vehicles. Von Housen Automotive Group operates three Mercedes-Benz dealerships in Northern California, including Mercedes-Benz of Sacramento, Mercedes-Benz of Rocklin and Mercedes-Benz of El Dorado Hills. The group also owns Mercedes-Benz Sprinter dealerships in both Rocklin and Sacramento. Mercedes-Benz of North America Von Housen Automotive Group has more than 300 dedicated employees and sells approximately $301,000,000 in new and used vehicles, parts and service annually. The team is also a leader in supporting community, philanthropic and non-profit initiatives. Stop by Mercedes-Benz of El Dorado Hills to experience a wide selection of Mercedes-Benz luxury cars, presented by Northern California’s leading team of sales advisors. Reach us online, or give us a call.Boasts 34 Highway MPG and 23 City MPG! This Mercedes-Benz C-Class boasts a Intercooled Turbo Premium Unleaded I-4 2.0 L/121 engine powering this Automatic transmission. Window Grid Antenna, Wheels: 17 Twin 5-Spoke, Valet Function. * This Mercedes-Benz C-Class Features the Following Options *Urethane Gear Shift Knob, Turn-By-Turn Navigation Directions, Trunk Rear Cargo Access, Trip Computer, Transmission: 9G-TRONIC 9-Speed Automatic, Tires: 225/50R17, Tire Specific Low Tire Pressure Warning, Systems Monitor, Strut Front Suspension w/Coil Springs, Side Impact Beams. * Visit Us Today *Come in for a quick visit at Mercedes Benz of El Dorado Hills, 1000 Mercedes Lane, El Dorado Hills, CA 95762 to claim your Mercedes-Benz C-Class! *Golden Rule*We are a Golden Rule company dedicating ourselves to world-class customer service in an environment of trust, dignity, and fun. George Grinzewitsch, CEO and Owner, Von Housen Automotive Group For more than 60 years, Von Housen Automotive Group has delivered high-end luxury vehicles to discerning clients throughout the greater Sacramento area, and is the place more people trust for quality, service, and a large selection of Mercedes-Benz vehicles. Von Housen Automotive Group operates three Mercedes-Benz dealerships in Northern California, including Mercedes-Benz of Sacramento, Mercedes-Benz of Rocklin and Mercedes-Benz of El Dorado Hills. The group also owns Mercedes-Benz Sprinter dealerships in both Rocklin and Sacramento. Mercedes-Benz of North America Von Housen Automotive Group has more than 300 dedicated employees and sells approximately $301,000,000 in new and used vehicles, parts and service annually. The team is also a leader in supporting community, philanthropic and non-profit initiatives. Stop by Mercedes-Benz of El Dorado Hills to experience a wide selection of Mercedes-Benz luxury cars, presented by Northern California’s leading team of sales advisors. Reach us online, or give us a call. Boasts 34 Highway MPG and 23 City MPG! This Mercedes-Benz C-Class delivers a Intercooled Turbo Premium Unleaded I-4 2.0 L/121 engine powering this Automatic transmission. Window Grid Antenna, Wheels: 17 Twin 5-Spoke, Valet Function. * This Mercedes-Benz C-Class Features the Following Options *Urethane Gear Shift Knob, Turn-By-Turn Navigation Directions, Trunk Rear Cargo Access, Trip Computer, Transmission: 9G-TRONIC 9-Speed Automatic, Tires: 225/50R17, Tire Specific Low Tire Pressure Warning, Systems Monitor, Strut Front Suspension w/Coil Springs, Side Impact Beams. * Visit Us Today *A short visit to Mercedes Benz of El Dorado Hills located at 1000 Mercedes Lane, El Dorado Hills, CA 95762 can get you a dependable C-Class today! *Golden Rule*We are a Golden Rule company dedicating ourselves to world-class customer service in an environment of trust, dignity, and fun. George Grinzewitsch, CEO and Owner, Von Housen Automotive Group For more than 60 years, Von Housen Automotive Group has delivered high-end luxury vehicles to discerning clients throughout the greater Sacramento area, and is the place more people trust for quality, service, and a large selection of Mercedes-Benz vehicles. Von Housen Automotive Group operates three Mercedes-Benz dealerships in Northern California, including Mercedes-Benz of Sacramento, Mercedes-Benz of Rocklin and Mercedes-Benz of El Dorado Hills. The group also owns Mercedes-Benz Sprinter dealerships in both Rocklin and Sacramento. Mercedes-Benz of North America Von Housen Automotive Group has more than 300 dedicated employees and sells approximately $301,000,000 in new and used vehicles, parts and service annually. The team is also a leader in supporting community, philanthropic and non-profit initiatives. Stop by Mercedes-Benz of El Dorado Hills to experience a wide selection of Mercedes-Benz luxury cars, presented by Northern California’s leading team of sales advisors. Reach us online, or give us a call.Boasts 34 Highway MPG and 23 City MPG! This Mercedes-Benz C-Class delivers a Intercooled Turbo Premium Unleaded I-4 2.0 L/121 engine powering this Automatic transmission. Window Grid Antenna, Wheels: 17 Twin 5-Spoke, Valet Function. * This Mercedes-Benz C-Class Features the Following Options *Urethane Gear Shift Knob, Turn-By-Turn Navigation Directions, Trunk Rear Cargo Access, Trip Computer, Transmission: 9G-TRONIC 9-Speed Automatic, Tires: 225/50R17, Tire Specific Low Tire Pressure Warning, Systems Monitor, Strut Front Suspension w/Coil Springs, Side Impact Beams. * Visit Us Today *A short visit to Mercedes Benz of El Dorado Hills located at 1000 Mercedes Lane, El Dorado Hills, CA 95762 can get you a dependable C-Class today! *Golden Rule*We are a Golden Rule company dedicating ourselves to world-class customer service in an environment of trust, dignity, and fun. George Grinzewitsch, CEO and Owner, Von Housen Automotive Group For more than 60 years, Von Housen Automotive Group has delivered high-end luxury vehicles to discerning clients throughout the greater Sacramento area, and is the place more people trust for quality, service, and a large selection of Mercedes-Benz vehicles. Von Housen Automotive Group operates three Mercedes-Benz dealerships in Northern California, including Mercedes-Benz of Sacramento, Mercedes-Benz of Rocklin and Mercedes-Benz of El Dorado Hills. The group also owns Mercedes-Benz Sprinter dealerships in both Rocklin and Sacramento. Mercedes-Benz of North America Von Housen Automotive Group has more than 300 dedicated employees and sells approximately $301,000,000 in new and used vehicles, parts and service annually. The team is also a leader in supporting community, philanthropic and non-profit initiatives. Stop by Mercedes-Benz of El Dorado Hills to experience a wide selection of Mercedes-Benz luxury cars, presented by Northern California’s leading team of sales advisors. Reach us online, or give us a call. Boasts 34 Highway MPG and 23 City MPG! This Mercedes-Benz C-Class delivers a Intercooled Turbo Premium Unleaded I-4 2.0 L/121 engine powering this Automatic transmission. Window Grid Antenna, Wheels: 17 Twin 5-Spoke, Valet Function. * This Mercedes-Benz C-Class Features the Following Options *Urethane Gear Shift Knob, Turn-By-Turn Navigation Directions, Trunk Rear Cargo Access, Trip Computer, Transmission: 9G-TRONIC 9-Speed Automatic, Tires: 225/50R17, Tire Specific Low Tire Pressure Warning, Systems Monitor, Strut Front Suspension w/Coil Springs, Side Impact Beams. * Visit Us Today *Stop by Mercedes Benz of El Dorado Hills located at 1000 Mercedes Lane, El Dorado Hills, CA 95762 for a quick visit and a great vehicle! *Golden Rule*We are a Golden Rule company dedicating ourselves to world-class customer service in an environment of trust, dignity, and fun. George Grinzewitsch, CEO and Owner, Von Housen Automotive Group For more than 60 years, Von Housen Automotive Group has delivered high-end luxury vehicles to discerning clients throughout the greater Sacramento area, and is the place more people trust for quality, service, and a large selection of Mercedes-Benz vehicles. Von Housen Automotive Group operates three Mercedes-Benz dealerships in Northern California, including Mercedes-Benz of Sacramento, Mercedes-Benz of Rocklin and Mercedes-Benz of El Dorado Hills. The group also owns Mercedes-Benz Sprinter dealerships in both Rocklin and Sacramento. Mercedes-Benz of North America Von Housen Automotive Group has more than 300 dedicated employees and sells approximately $301,000,000 in new and used vehicles, parts and service annually. The team is also a leader in supporting community, philanthropic and non-profit initiatives. Stop by Mercedes-Benz of El Dorado Hills to experience a wide selection of Mercedes-Benz luxury cars, presented by Northern California’s leading team of sales advisors. Reach us online, or give us a call.Boasts 34 Highway MPG and 23 City MPG! This Mercedes-Benz C-Class delivers a Intercooled Turbo Premium Unleaded I-4 2.0 L/121 engine powering this Automatic transmission. Window Grid Antenna, Wheels: 17 Twin 5-Spoke, Valet Function. * This Mercedes-Benz C-Class Features the Following Options *Urethane Gear Shift Knob, Turn-By-Turn Navigation Directions, Trunk Rear Cargo Access, Trip Computer, Transmission: 9G-TRONIC 9-Speed Automatic, Tires: 225/50R17, Tire Specific Low Tire Pressure Warning, Systems Monitor, Strut Front Suspension w/Coil Springs, Side Impact Beams. * Visit Us Today *Stop by Mercedes Benz of El Dorado Hills located at 1000 Mercedes Lane, El Dorado Hills, CA 95762 for a quick visit and a great vehicle! *Golden Rule*We are a Golden Rule company dedicating ourselves to world-class customer service in an environment of trust, dignity, and fun. George Grinzewitsch, CEO and Owner, Von Housen Automotive Group For more than 60 years, Von Housen Automotive Group has delivered high-end luxury vehicles to discerning clients throughout the greater Sacramento area, and is the place more people trust for quality, service, and a large selection of Mercedes-Benz vehicles. Von Housen Automotive Group operates three Mercedes-Benz dealerships in Northern California, including Mercedes-Benz of Sacramento, Mercedes-Benz of Rocklin and Mercedes-Benz of El Dorado Hills. The group also owns Mercedes-Benz Sprinter dealerships in both Rocklin and Sacramento. Mercedes-Benz of North America Von Housen Automotive Group has more than 300 dedicated employees and sells approximately $301,000,000 in new and used vehicles, parts and service annually. The team is also a leader in supporting community, philanthropic and non-profit initiatives. Stop by Mercedes-Benz of El Dorado Hills to experience a wide selection of Mercedes-Benz luxury cars, presented by Northern California’s leading team of sales advisors. Reach us online, or give us a call. Boasts 34 Highway MPG and 23 City MPG! This Mercedes-Benz C-Class boasts a Intercooled Turbo Premium Unleaded I-4 2.0 L/121 engine powering this Automatic transmission. Window Grid Antenna, Wheels: 17 Twin 5-Spoke, Valet Function. *This Mercedes-Benz C-Class Comes Equipped with These Options *Urethane Gear Shift Knob, Turn-By-Turn Navigation Directions, Trunk Rear Cargo Access, Trip Computer, Transmission: 9G-TRONIC 9-Speed Automatic, Tires: 225/50R17, Tire Specific Low Tire Pressure Warning, Systems Monitor, Strut Front Suspension w/Coil Springs, Side Impact Beams. * Visit Us Today *Test drive this must-see, must-drive, must-own beauty today at Mercedes Benz of El Dorado Hills, 1000 Mercedes Lane, El Dorado Hills, CA 95762. *Golden Rule*We are a Golden Rule company dedicating ourselves to world-class customer service in an environment of trust, dignity, and fun. George Grinzewitsch, CEO and Owner, Von Housen Automotive Group For more than 60 years, Von Housen Automotive Group has delivered high-end luxury vehicles to discerning clients throughout the greater Sacramento area, and is the place more people trust for quality, service, and a large selection of Mercedes-Benz vehicles. Von Housen Automotive Group operates three Mercedes-Benz dealerships in Northern California, including Mercedes-Benz of Sacramento, Mercedes-Benz of Rocklin and Mercedes-Benz of El Dorado Hills. The group also owns Mercedes-Benz Sprinter dealerships in both Rocklin and Sacramento. Mercedes-Benz of North America Von Housen Automotive Group has more than 300 dedicated employees and sells approximately $301,000,000 in new and used vehicles, parts and service annually. The team is also a leader in supporting community, philanthropic and non-profit initiatives. Stop by Mercedes-Benz of El Dorado Hills to experience a wide selection of Mercedes-Benz luxury cars, presented by Northern California’s leading team of sales advisors. Reach us online, or give us a call.Boasts 34 Highway MPG and 23 City MPG! This Mercedes-Benz C-Class boasts a Intercooled Turbo Premium Unleaded I-4 2.0 L/121 engine powering this Automatic transmission. Window Grid Antenna, Wheels: 17 Twin 5-Spoke, Valet Function. *This Mercedes-Benz C-Class Comes Equipped with These Options *Urethane Gear Shift Knob, Turn-By-Turn Navigation Directions, Trunk Rear Cargo Access, Trip Computer, Transmission: 9G-TRONIC 9-Speed Automatic, Tires: 225/50R17, Tire Specific Low Tire Pressure Warning, Systems Monitor, Strut Front Suspension w/Coil Springs, Side Impact Beams. * Visit Us Today *Test drive this must-see, must-drive, must-own beauty today at Mercedes Benz of El Dorado Hills, 1000 Mercedes Lane, El Dorado Hills, CA 95762. *Golden Rule*We are a Golden Rule company dedicating ourselves to world-class customer service in an environment of trust, dignity, and fun. George Grinzewitsch, CEO and Owner, Von Housen Automotive Group For more than 60 years, Von Housen Automotive Group has delivered high-end luxury vehicles to discerning clients throughout the greater Sacramento area, and is the place more people trust for quality, service, and a large selection of Mercedes-Benz vehicles. Von Housen Automotive Group operates three Mercedes-Benz dealerships in Northern California, including Mercedes-Benz of Sacramento, Mercedes-Benz of Rocklin and Mercedes-Benz of El Dorado Hills. The group also owns Mercedes-Benz Sprinter dealerships in both Rocklin and Sacramento. Mercedes-Benz of North America Von Housen Automotive Group has more than 300 dedicated employees and sells approximately $301,000,000 in new and used vehicles, parts and service annually. The team is also a leader in supporting community, philanthropic and non-profit initiatives. Stop by Mercedes-Benz of El Dorado Hills to experience a wide selection of Mercedes-Benz luxury cars, presented by Northern California’s leading team of sales advisors. Reach us online, or give us a call. Scores 34 Highway MPG and 23 City MPG! This Mercedes-Benz C-Class boasts a Intercooled Turbo Premium Unleaded I-4 2.0 L/121 engine powering this Automatic transmission. Window Grid Antenna, Wheels: 17 Twin 5-Spoke, Valet Function. *This Mercedes-Benz C-Class Comes Equipped with These Options *Urethane Gear Shift Knob, Turn-By-Turn Navigation Directions, Trunk Rear Cargo Access, Trip Computer, Transmission: 9G-TRONIC 9-Speed Automatic, Tires: 225/50R17, Tire Specific Low Tire Pressure Warning, Systems Monitor, Strut Front Suspension w/Coil Springs, Side Impact Beams. * Stop By Today *A short visit to Mercedes Benz of El Dorado Hills located at 1000 Mercedes Lane, El Dorado Hills, CA 95762 can get you a dependable C-Class today! *Golden Rule*We are a Golden Rule company dedicating ourselves to world-class customer service in an environment of trust, dignity, and fun. George Grinzewitsch, CEO and Owner, Von Housen Automotive Group For more than 60 years, Von Housen Automotive Group has delivered high-end luxury vehicles to discerning clients throughout the greater Sacramento area, and is the place more people trust for quality, service, and a large selection of Mercedes-Benz vehicles. Von Housen Automotive Group operates three Mercedes-Benz dealerships in Northern California, including Mercedes-Benz of Sacramento, Mercedes-Benz of Rocklin and Mercedes-Benz of El Dorado Hills. The group also owns Mercedes-Benz Sprinter dealerships in both Rocklin and Sacramento. Mercedes-Benz of North America Von Housen Automotive Group has more than 300 dedicated employees and sells approximately $301,000,000 in new and used vehicles, parts and service annually. The team is also a leader in supporting community, philanthropic and non-profit initiatives. Stop by Mercedes-Benz of El Dorado Hills to experience a wide selection of Mercedes-Benz luxury cars, presented by Northern California’s leading team of sales advisors. Reach us online, or give us a call.Scores 34 Highway MPG and 23 City MPG! This Mercedes-Benz C-Class boasts a Intercooled Turbo Premium Unleaded I-4 2.0 L/121 engine powering this Automatic transmission. Window Grid Antenna, Wheels: 17 Twin 5-Spoke, Valet Function. *This Mercedes-Benz C-Class Comes Equipped with These Options *Urethane Gear Shift Knob, Turn-By-Turn Navigation Directions, Trunk Rear Cargo Access, Trip Computer, Transmission: 9G-TRONIC 9-Speed Automatic, Tires: 225/50R17, Tire Specific Low Tire Pressure Warning, Systems Monitor, Strut Front Suspension w/Coil Springs, Side Impact Beams. 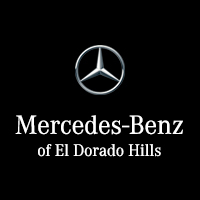 * Stop By Today *A short visit to Mercedes Benz of El Dorado Hills located at 1000 Mercedes Lane, El Dorado Hills, CA 95762 can get you a dependable C-Class today! *Golden Rule*We are a Golden Rule company dedicating ourselves to world-class customer service in an environment of trust, dignity, and fun. George Grinzewitsch, CEO and Owner, Von Housen Automotive Group For more than 60 years, Von Housen Automotive Group has delivered high-end luxury vehicles to discerning clients throughout the greater Sacramento area, and is the place more people trust for quality, service, and a large selection of Mercedes-Benz vehicles. Von Housen Automotive Group operates three Mercedes-Benz dealerships in Northern California, including Mercedes-Benz of Sacramento, Mercedes-Benz of Rocklin and Mercedes-Benz of El Dorado Hills. The group also owns Mercedes-Benz Sprinter dealerships in both Rocklin and Sacramento. Mercedes-Benz of North America Von Housen Automotive Group has more than 300 dedicated employees and sells approximately $301,000,000 in new and used vehicles, parts and service annually. The team is also a leader in supporting community, philanthropic and non-profit initiatives. Stop by Mercedes-Benz of El Dorado Hills to experience a wide selection of Mercedes-Benz luxury cars, presented by Northern California’s leading team of sales advisors. Reach us online, or give us a call. Delivers 34 Highway MPG and 23 City MPG! This Mercedes-Benz C-Class delivers a Intercooled Turbo Premium Unleaded I-4 2.0 L/121 engine powering this Automatic transmission. Window Grid Antenna, Wheels: 17 Twin 5-Spoke, Valet Function. * This Mercedes-Benz C-Class Features the Following Options *Urethane Gear Shift Knob, Turn-By-Turn Navigation Directions, Trunk Rear Cargo Access, Trip Computer, Transmission: 9G-TRONIC 9-Speed Automatic, Tires: 225/50R17, Tire Specific Low Tire Pressure Warning, Systems Monitor, Strut Front Suspension w/Coil Springs, Side Impact Beams. * Stop By Today *Come in for a quick visit at Mercedes Benz of El Dorado Hills, 1000 Mercedes Lane, El Dorado Hills, CA 95762 to claim your Mercedes-Benz C-Class! *Golden Rule*We are a Golden Rule company dedicating ourselves to world-class customer service in an environment of trust, dignity, and fun. George Grinzewitsch, CEO and Owner, Von Housen Automotive Group For more than 60 years, Von Housen Automotive Group has delivered high-end luxury vehicles to discerning clients throughout the greater Sacramento area, and is the place more people trust for quality, service, and a large selection of Mercedes-Benz vehicles. Von Housen Automotive Group operates three Mercedes-Benz dealerships in Northern California, including Mercedes-Benz of Sacramento, Mercedes-Benz of Rocklin and Mercedes-Benz of El Dorado Hills. The group also owns Mercedes-Benz Sprinter dealerships in both Rocklin and Sacramento. Mercedes-Benz of North America Von Housen Automotive Group has more than 300 dedicated employees and sells approximately $301,000,000 in new and used vehicles, parts and service annually. The team is also a leader in supporting community, philanthropic and non-profit initiatives. Stop by Mercedes-Benz of El Dorado Hills to experience a wide selection of Mercedes-Benz luxury cars, presented by Northern California’s leading team of sales advisors. Reach us online, or give us a call.Delivers 34 Highway MPG and 23 City MPG! This Mercedes-Benz C-Class delivers a Intercooled Turbo Premium Unleaded I-4 2.0 L/121 engine powering this Automatic transmission. Window Grid Antenna, Wheels: 17 Twin 5-Spoke, Valet Function. * This Mercedes-Benz C-Class Features the Following Options *Urethane Gear Shift Knob, Turn-By-Turn Navigation Directions, Trunk Rear Cargo Access, Trip Computer, Transmission: 9G-TRONIC 9-Speed Automatic, Tires: 225/50R17, Tire Specific Low Tire Pressure Warning, Systems Monitor, Strut Front Suspension w/Coil Springs, Side Impact Beams. * Stop By Today *Come in for a quick visit at Mercedes Benz of El Dorado Hills, 1000 Mercedes Lane, El Dorado Hills, CA 95762 to claim your Mercedes-Benz C-Class! *Golden Rule*We are a Golden Rule company dedicating ourselves to world-class customer service in an environment of trust, dignity, and fun. George Grinzewitsch, CEO and Owner, Von Housen Automotive Group For more than 60 years, Von Housen Automotive Group has delivered high-end luxury vehicles to discerning clients throughout the greater Sacramento area, and is the place more people trust for quality, service, and a large selection of Mercedes-Benz vehicles. Von Housen Automotive Group operates three Mercedes-Benz dealerships in Northern California, including Mercedes-Benz of Sacramento, Mercedes-Benz of Rocklin and Mercedes-Benz of El Dorado Hills. The group also owns Mercedes-Benz Sprinter dealerships in both Rocklin and Sacramento. Mercedes-Benz of North America Von Housen Automotive Group has more than 300 dedicated employees and sells approximately $301,000,000 in new and used vehicles, parts and service annually. The team is also a leader in supporting community, philanthropic and non-profit initiatives. Stop by Mercedes-Benz of El Dorado Hills to experience a wide selection of Mercedes-Benz luxury cars, presented by Northern California’s leading team of sales advisors. Reach us online, or give us a call. Boasts 34 Highway MPG and 23 City MPG! This Mercedes-Benz C-Class delivers a Intercooled Turbo Premium Unleaded I-4 2.0 L/121 engine powering this Automatic transmission. Window Grid Antenna, Wheels: 17 Twin 5-Spoke, Valet Function. *This Mercedes-Benz C-Class Comes Equipped with These Options *Urethane Gear Shift Knob, Turn-By-Turn Navigation Directions, Trunk Rear Cargo Access, Trip Computer, Transmission: 9G-TRONIC 9-Speed Automatic, Tires: 225/50R17, Tire Specific Low Tire Pressure Warning, Systems Monitor, Strut Front Suspension w/Coil Springs, Side Impact Beams. * Visit Us Today *Stop by Mercedes Benz of El Dorado Hills located at 1000 Mercedes Lane, El Dorado Hills, CA 95762 for a quick visit and a great vehicle! *Golden Rule*We are a Golden Rule company dedicating ourselves to world-class customer service in an environment of trust, dignity, and fun. George Grinzewitsch, CEO and Owner, Von Housen Automotive Group For more than 60 years, Von Housen Automotive Group has delivered high-end luxury vehicles to discerning clients throughout the greater Sacramento area, and is the place more people trust for quality, service, and a large selection of Mercedes-Benz vehicles. Von Housen Automotive Group operates three Mercedes-Benz dealerships in Northern California, including Mercedes-Benz of Sacramento, Mercedes-Benz of Rocklin and Mercedes-Benz of El Dorado Hills. The group also owns Mercedes-Benz Sprinter dealerships in both Rocklin and Sacramento. Mercedes-Benz of North America Von Housen Automotive Group has more than 300 dedicated employees and sells approximately $301,000,000 in new and used vehicles, parts and service annually. The team is also a leader in supporting community, philanthropic and non-profit initiatives. Stop by Mercedes-Benz of El Dorado Hills to experience a wide selection of Mercedes-Benz luxury cars, presented by Northern California’s leading team of sales advisors. Reach us online, or give us a call.Boasts 34 Highway MPG and 23 City MPG! This Mercedes-Benz C-Class delivers a Intercooled Turbo Premium Unleaded I-4 2.0 L/121 engine powering this Automatic transmission. Window Grid Antenna, Wheels: 17 Twin 5-Spoke, Valet Function. *This Mercedes-Benz C-Class Comes Equipped with These Options *Urethane Gear Shift Knob, Turn-By-Turn Navigation Directions, Trunk Rear Cargo Access, Trip Computer, Transmission: 9G-TRONIC 9-Speed Automatic, Tires: 225/50R17, Tire Specific Low Tire Pressure Warning, Systems Monitor, Strut Front Suspension w/Coil Springs, Side Impact Beams. * Visit Us Today *Stop by Mercedes Benz of El Dorado Hills located at 1000 Mercedes Lane, El Dorado Hills, CA 95762 for a quick visit and a great vehicle! *Golden Rule*We are a Golden Rule company dedicating ourselves to world-class customer service in an environment of trust, dignity, and fun. George Grinzewitsch, CEO and Owner, Von Housen Automotive Group For more than 60 years, Von Housen Automotive Group has delivered high-end luxury vehicles to discerning clients throughout the greater Sacramento area, and is the place more people trust for quality, service, and a large selection of Mercedes-Benz vehicles. Von Housen Automotive Group operates three Mercedes-Benz dealerships in Northern California, including Mercedes-Benz of Sacramento, Mercedes-Benz of Rocklin and Mercedes-Benz of El Dorado Hills. The group also owns Mercedes-Benz Sprinter dealerships in both Rocklin and Sacramento. Mercedes-Benz of North America Von Housen Automotive Group has more than 300 dedicated employees and sells approximately $301,000,000 in new and used vehicles, parts and service annually. The team is also a leader in supporting community, philanthropic and non-profit initiatives. Stop by Mercedes-Benz of El Dorado Hills to experience a wide selection of Mercedes-Benz luxury cars, presented by Northern California’s leading team of sales advisors. Reach us online, or give us a call. Scores 34 Highway MPG and 23 City MPG! This Mercedes-Benz C-Class boasts a Intercooled Turbo Premium Unleaded I-4 2.0 L/121 engine powering this Automatic transmission. Window Grid Antenna, Wheels: 17 Twin 5-Spoke, Valet Function. * This Mercedes-Benz C-Class Features the Following Options *Urethane Gear Shift Knob, Turn-By-Turn Navigation Directions, Trunk Rear Cargo Access, Trip Computer, Transmission: 9G-TRONIC 9-Speed Automatic, Tires: 225/50R17, Tire Specific Low Tire Pressure Warning, Systems Monitor, Strut Front Suspension w/Coil Springs, Side Impact Beams. * Stop By Today *For a must-own Mercedes-Benz C-Class come see us at Mercedes Benz of El Dorado Hills, 1000 Mercedes Lane, El Dorado Hills, CA 95762. Just minutes away! *Golden Rule*We are a Golden Rule company dedicating ourselves to world-class customer service in an environment of trust, dignity, and fun. George Grinzewitsch, CEO and Owner, Von Housen Automotive Group For more than 60 years, Von Housen Automotive Group has delivered high-end luxury vehicles to discerning clients throughout the greater Sacramento area, and is the place more people trust for quality, service, and a large selection of Mercedes-Benz vehicles. Von Housen Automotive Group operates three Mercedes-Benz dealerships in Northern California, including Mercedes-Benz of Sacramento, Mercedes-Benz of Rocklin and Mercedes-Benz of El Dorado Hills. The group also owns Mercedes-Benz Sprinter dealerships in both Rocklin and Sacramento. Mercedes-Benz of North America Von Housen Automotive Group has more than 300 dedicated employees and sells approximately $301,000,000 in new and used vehicles, parts and service annually. The team is also a leader in supporting community, philanthropic and non-profit initiatives. Stop by Mercedes-Benz of El Dorado Hills to experience a wide selection of Mercedes-Benz luxury cars, presented by Northern California’s leading team of sales advisors. Reach us online, or give us a call.Scores 34 Highway MPG and 23 City MPG! This Mercedes-Benz C-Class boasts a Intercooled Turbo Premium Unleaded I-4 2.0 L/121 engine powering this Automatic transmission. Window Grid Antenna, Wheels: 17 Twin 5-Spoke, Valet Function. * This Mercedes-Benz C-Class Features the Following Options *Urethane Gear Shift Knob, Turn-By-Turn Navigation Directions, Trunk Rear Cargo Access, Trip Computer, Transmission: 9G-TRONIC 9-Speed Automatic, Tires: 225/50R17, Tire Specific Low Tire Pressure Warning, Systems Monitor, Strut Front Suspension w/Coil Springs, Side Impact Beams. * Stop By Today *For a must-own Mercedes-Benz C-Class come see us at Mercedes Benz of El Dorado Hills, 1000 Mercedes Lane, El Dorado Hills, CA 95762. Just minutes away! *Golden Rule*We are a Golden Rule company dedicating ourselves to world-class customer service in an environment of trust, dignity, and fun. George Grinzewitsch, CEO and Owner, Von Housen Automotive Group For more than 60 years, Von Housen Automotive Group has delivered high-end luxury vehicles to discerning clients throughout the greater Sacramento area, and is the place more people trust for quality, service, and a large selection of Mercedes-Benz vehicles. Von Housen Automotive Group operates three Mercedes-Benz dealerships in Northern California, including Mercedes-Benz of Sacramento, Mercedes-Benz of Rocklin and Mercedes-Benz of El Dorado Hills. The group also owns Mercedes-Benz Sprinter dealerships in both Rocklin and Sacramento. Mercedes-Benz of North America Von Housen Automotive Group has more than 300 dedicated employees and sells approximately $301,000,000 in new and used vehicles, parts and service annually. The team is also a leader in supporting community, philanthropic and non-profit initiatives. Stop by Mercedes-Benz of El Dorado Hills to experience a wide selection of Mercedes-Benz luxury cars, presented by Northern California’s leading team of sales advisors. Reach us online, or give us a call. Delivers 34 Highway MPG and 23 City MPG! This Mercedes-Benz C-Class delivers a Intercooled Turbo Premium Unleaded I-4 2.0 L/121 engine powering this Automatic transmission. Window Grid Antenna, Wheels: 17 Twin 5-Spoke, Valet Function. * This Mercedes-Benz C-Class Features the Following Options *Urethane Gear Shift Knob, Turn-By-Turn Navigation Directions, Trunk Rear Cargo Access, Trip Computer, Transmission: 9G-TRONIC 9-Speed Automatic, Tires: 225/50R17, Tire Specific Low Tire Pressure Warning, Systems Monitor, Strut Front Suspension w/Coil Springs, Side Impact Beams. * Stop By Today *A short visit to Mercedes Benz of El Dorado Hills located at 1000 Mercedes Lane, El Dorado Hills, CA 95762 can get you a reliable C-Class today! *Golden Rule*We are a Golden Rule company dedicating ourselves to world-class customer service in an environment of trust, dignity, and fun. George Grinzewitsch, CEO and Owner, Von Housen Automotive Group For more than 60 years, Von Housen Automotive Group has delivered high-end luxury vehicles to discerning clients throughout the greater Sacramento area, and is the place more people trust for quality, service, and a large selection of Mercedes-Benz vehicles. Von Housen Automotive Group operates three Mercedes-Benz dealerships in Northern California, including Mercedes-Benz of Sacramento, Mercedes-Benz of Rocklin and Mercedes-Benz of El Dorado Hills. The group also owns Mercedes-Benz Sprinter dealerships in both Rocklin and Sacramento. Mercedes-Benz of North America Von Housen Automotive Group has more than 300 dedicated employees and sells approximately $301,000,000 in new and used vehicles, parts and service annually. The team is also a leader in supporting community, philanthropic and non-profit initiatives. Stop by Mercedes-Benz of El Dorado Hills to experience a wide selection of Mercedes-Benz luxury cars, presented by Northern California’s leading team of sales advisors. Reach us online, or give us a call.Delivers 34 Highway MPG and 23 City MPG! This Mercedes-Benz C-Class delivers a Intercooled Turbo Premium Unleaded I-4 2.0 L/121 engine powering this Automatic transmission. Window Grid Antenna, Wheels: 17 Twin 5-Spoke, Valet Function. * This Mercedes-Benz C-Class Features the Following Options *Urethane Gear Shift Knob, Turn-By-Turn Navigation Directions, Trunk Rear Cargo Access, Trip Computer, Transmission: 9G-TRONIC 9-Speed Automatic, Tires: 225/50R17, Tire Specific Low Tire Pressure Warning, Systems Monitor, Strut Front Suspension w/Coil Springs, Side Impact Beams. * Stop By Today *A short visit to Mercedes Benz of El Dorado Hills located at 1000 Mercedes Lane, El Dorado Hills, CA 95762 can get you a reliable C-Class today! *Golden Rule*We are a Golden Rule company dedicating ourselves to world-class customer service in an environment of trust, dignity, and fun. George Grinzewitsch, CEO and Owner, Von Housen Automotive Group For more than 60 years, Von Housen Automotive Group has delivered high-end luxury vehicles to discerning clients throughout the greater Sacramento area, and is the place more people trust for quality, service, and a large selection of Mercedes-Benz vehicles. Von Housen Automotive Group operates three Mercedes-Benz dealerships in Northern California, including Mercedes-Benz of Sacramento, Mercedes-Benz of Rocklin and Mercedes-Benz of El Dorado Hills. The group also owns Mercedes-Benz Sprinter dealerships in both Rocklin and Sacramento. Mercedes-Benz of North America Von Housen Automotive Group has more than 300 dedicated employees and sells approximately $301,000,000 in new and used vehicles, parts and service annually. The team is also a leader in supporting community, philanthropic and non-profit initiatives. Stop by Mercedes-Benz of El Dorado Hills to experience a wide selection of Mercedes-Benz luxury cars, presented by Northern California’s leading team of sales advisors. Reach us online, or give us a call. Scores 34 Highway MPG and 23 City MPG! This Mercedes-Benz C-Class delivers a Intercooled Turbo Premium Unleaded I-4 2.0 L/121 engine powering this Automatic transmission. Window Grid Antenna, Wheels: 17 Twin 5-Spoke, Valet Function. * This Mercedes-Benz C-Class Features the Following Options *Urethane Gear Shift Knob, Turn-By-Turn Navigation Directions, Trunk Rear Cargo Access, Trip Computer, Transmission: 9G-TRONIC 9-Speed Automatic, Tires: 225/50R17, Tire Specific Low Tire Pressure Warning, Systems Monitor, Strut Front Suspension w/Coil Springs, Side Impact Beams. * Stop By Today *A short visit to Mercedes Benz of El Dorado Hills located at 1000 Mercedes Lane, El Dorado Hills, CA 95762 can get you a tried-and-true C-Class today! *Golden Rule*We are a Golden Rule company dedicating ourselves to world-class customer service in an environment of trust, dignity, and fun. George Grinzewitsch, CEO and Owner, Von Housen Automotive Group For more than 60 years, Von Housen Automotive Group has delivered high-end luxury vehicles to discerning clients throughout the greater Sacramento area, and is the place more people trust for quality, service, and a large selection of Mercedes-Benz vehicles. Von Housen Automotive Group operates three Mercedes-Benz dealerships in Northern California, including Mercedes-Benz of Sacramento, Mercedes-Benz of Rocklin and Mercedes-Benz of El Dorado Hills. The group also owns Mercedes-Benz Sprinter dealerships in both Rocklin and Sacramento. Mercedes-Benz of North America Von Housen Automotive Group has more than 300 dedicated employees and sells approximately $301,000,000 in new and used vehicles, parts and service annually. The team is also a leader in supporting community, philanthropic and non-profit initiatives. Stop by Mercedes-Benz of El Dorado Hills to experience a wide selection of Mercedes-Benz luxury cars, presented by Northern California’s leading team of sales advisors. Reach us online, or give us a call.Scores 34 Highway MPG and 23 City MPG! This Mercedes-Benz C-Class delivers a Intercooled Turbo Premium Unleaded I-4 2.0 L/121 engine powering this Automatic transmission. Window Grid Antenna, Wheels: 17 Twin 5-Spoke, Valet Function. * This Mercedes-Benz C-Class Features the Following Options *Urethane Gear Shift Knob, Turn-By-Turn Navigation Directions, Trunk Rear Cargo Access, Trip Computer, Transmission: 9G-TRONIC 9-Speed Automatic, Tires: 225/50R17, Tire Specific Low Tire Pressure Warning, Systems Monitor, Strut Front Suspension w/Coil Springs, Side Impact Beams. * Stop By Today *A short visit to Mercedes Benz of El Dorado Hills located at 1000 Mercedes Lane, El Dorado Hills, CA 95762 can get you a tried-and-true C-Class today! *Golden Rule*We are a Golden Rule company dedicating ourselves to world-class customer service in an environment of trust, dignity, and fun. George Grinzewitsch, CEO and Owner, Von Housen Automotive Group For more than 60 years, Von Housen Automotive Group has delivered high-end luxury vehicles to discerning clients throughout the greater Sacramento area, and is the place more people trust for quality, service, and a large selection of Mercedes-Benz vehicles. Von Housen Automotive Group operates three Mercedes-Benz dealerships in Northern California, including Mercedes-Benz of Sacramento, Mercedes-Benz of Rocklin and Mercedes-Benz of El Dorado Hills. The group also owns Mercedes-Benz Sprinter dealerships in both Rocklin and Sacramento. Mercedes-Benz of North America Von Housen Automotive Group has more than 300 dedicated employees and sells approximately $301,000,000 in new and used vehicles, parts and service annually. The team is also a leader in supporting community, philanthropic and non-profit initiatives. Stop by Mercedes-Benz of El Dorado Hills to experience a wide selection of Mercedes-Benz luxury cars, presented by Northern California’s leading team of sales advisors. Reach us online, or give us a call. Boasts 34 Highway MPG and 23 City MPG! This Mercedes-Benz C-Class boasts a Intercooled Turbo Premium Unleaded I-4 2.0 L/121 engine powering this Automatic transmission. Window Grid Antenna, Wheels: 17 Twin 5-Spoke, Valet Function. *This Mercedes-Benz C-Class Comes Equipped with These Options *Urethane Gear Shift Knob, Turn-By-Turn Navigation Directions, Trunk Rear Cargo Access, Trip Computer, Transmission: 9G-TRONIC 9-Speed Automatic, Tires: 225/50R17, Tire Specific Low Tire Pressure Warning, Systems Monitor, Strut Front Suspension w/Coil Springs, Side Impact Beams. * Visit Us Today *You've earned this- stop by Mercedes Benz of El Dorado Hills located at 1000 Mercedes Lane, El Dorado Hills, CA 95762 to make this car yours today! *Golden Rule*We are a Golden Rule company dedicating ourselves to world-class customer service in an environment of trust, dignity, and fun. George Grinzewitsch, CEO and Owner, Von Housen Automotive Group For more than 60 years, Von Housen Automotive Group has delivered high-end luxury vehicles to discerning clients throughout the greater Sacramento area, and is the place more people trust for quality, service, and a large selection of Mercedes-Benz vehicles. Von Housen Automotive Group operates three Mercedes-Benz dealerships in Northern California, including Mercedes-Benz of Sacramento, Mercedes-Benz of Rocklin and Mercedes-Benz of El Dorado Hills. The group also owns Mercedes-Benz Sprinter dealerships in both Rocklin and Sacramento. Mercedes-Benz of North America Von Housen Automotive Group has more than 300 dedicated employees and sells approximately $301,000,000 in new and used vehicles, parts and service annually. The team is also a leader in supporting community, philanthropic and non-profit initiatives. Stop by Mercedes-Benz of El Dorado Hills to experience a wide selection of Mercedes-Benz luxury cars, presented by Northern California’s leading team of sales advisors. Reach us online, or give us a call.Boasts 34 Highway MPG and 23 City MPG! This Mercedes-Benz C-Class boasts a Intercooled Turbo Premium Unleaded I-4 2.0 L/121 engine powering this Automatic transmission. Window Grid Antenna, Wheels: 17 Twin 5-Spoke, Valet Function. *This Mercedes-Benz C-Class Comes Equipped with These Options *Urethane Gear Shift Knob, Turn-By-Turn Navigation Directions, Trunk Rear Cargo Access, Trip Computer, Transmission: 9G-TRONIC 9-Speed Automatic, Tires: 225/50R17, Tire Specific Low Tire Pressure Warning, Systems Monitor, Strut Front Suspension w/Coil Springs, Side Impact Beams. * Visit Us Today *You've earned this- stop by Mercedes Benz of El Dorado Hills located at 1000 Mercedes Lane, El Dorado Hills, CA 95762 to make this car yours today! *Golden Rule*We are a Golden Rule company dedicating ourselves to world-class customer service in an environment of trust, dignity, and fun. George Grinzewitsch, CEO and Owner, Von Housen Automotive Group For more than 60 years, Von Housen Automotive Group has delivered high-end luxury vehicles to discerning clients throughout the greater Sacramento area, and is the place more people trust for quality, service, and a large selection of Mercedes-Benz vehicles. Von Housen Automotive Group operates three Mercedes-Benz dealerships in Northern California, including Mercedes-Benz of Sacramento, Mercedes-Benz of Rocklin and Mercedes-Benz of El Dorado Hills. The group also owns Mercedes-Benz Sprinter dealerships in both Rocklin and Sacramento. Mercedes-Benz of North America Von Housen Automotive Group has more than 300 dedicated employees and sells approximately $301,000,000 in new and used vehicles, parts and service annually. The team is also a leader in supporting community, philanthropic and non-profit initiatives. Stop by Mercedes-Benz of El Dorado Hills to experience a wide selection of Mercedes-Benz luxury cars, presented by Northern California’s leading team of sales advisors. Reach us online, or give us a call. Delivers 33 Highway MPG and 22 City MPG! This Mercedes-Benz C-Class delivers a Intercooled Turbo Premium Unleaded I-4 2.0 L/121 engine powering this Automatic transmission. Window Grid Antenna, Wheels: 17 Twin 5-Spoke, Valet Function. * This Mercedes-Benz C-Class Features the Following Options *Urethane Gear Shift Knob, Turn-By-Turn Navigation Directions, Trunk Rear Cargo Access, Trip Computer, Transmission: 9G-TRONIC 9-Speed Automatic, Tires: 225/50R17, Tire Specific Low Tire Pressure Warning, Systems Monitor, Strut Front Suspension w/Coil Springs, Side Impact Beams. * Visit Us Today *A short visit to Mercedes Benz of El Dorado Hills located at 1000 Mercedes Lane, El Dorado Hills, CA 95762 can get you a dependable C-Class today! *Golden Rule*We are a Golden Rule company dedicating ourselves to world-class customer service in an environment of trust, dignity, and fun. George Grinzewitsch, CEO and Owner, Von Housen Automotive Group For more than 60 years, Von Housen Automotive Group has delivered high-end luxury vehicles to discerning clients throughout the greater Sacramento area, and is the place more people trust for quality, service, and a large selection of Mercedes-Benz vehicles. Von Housen Automotive Group operates three Mercedes-Benz dealerships in Northern California, including Mercedes-Benz of Sacramento, Mercedes-Benz of Rocklin and Mercedes-Benz of El Dorado Hills. The group also owns Mercedes-Benz Sprinter dealerships in both Rocklin and Sacramento. Mercedes-Benz of North America Von Housen Automotive Group has more than 300 dedicated employees and sells approximately $301,000,000 in new and used vehicles, parts and service annually. The team is also a leader in supporting community, philanthropic and non-profit initiatives. Stop by Mercedes-Benz of El Dorado Hills to experience a wide selection of Mercedes-Benz luxury cars, presented by Northern California’s leading team of sales advisors. Reach us online, or give us a call.Delivers 33 Highway MPG and 22 City MPG! This Mercedes-Benz C-Class delivers a Intercooled Turbo Premium Unleaded I-4 2.0 L/121 engine powering this Automatic transmission. Window Grid Antenna, Wheels: 17 Twin 5-Spoke, Valet Function. * This Mercedes-Benz C-Class Features the Following Options *Urethane Gear Shift Knob, Turn-By-Turn Navigation Directions, Trunk Rear Cargo Access, Trip Computer, Transmission: 9G-TRONIC 9-Speed Automatic, Tires: 225/50R17, Tire Specific Low Tire Pressure Warning, Systems Monitor, Strut Front Suspension w/Coil Springs, Side Impact Beams. * Visit Us Today *A short visit to Mercedes Benz of El Dorado Hills located at 1000 Mercedes Lane, El Dorado Hills, CA 95762 can get you a dependable C-Class today! *Golden Rule*We are a Golden Rule company dedicating ourselves to world-class customer service in an environment of trust, dignity, and fun. George Grinzewitsch, CEO and Owner, Von Housen Automotive Group For more than 60 years, Von Housen Automotive Group has delivered high-end luxury vehicles to discerning clients throughout the greater Sacramento area, and is the place more people trust for quality, service, and a large selection of Mercedes-Benz vehicles. Von Housen Automotive Group operates three Mercedes-Benz dealerships in Northern California, including Mercedes-Benz of Sacramento, Mercedes-Benz of Rocklin and Mercedes-Benz of El Dorado Hills. The group also owns Mercedes-Benz Sprinter dealerships in both Rocklin and Sacramento. Mercedes-Benz of North America Von Housen Automotive Group has more than 300 dedicated employees and sells approximately $301,000,000 in new and used vehicles, parts and service annually. The team is also a leader in supporting community, philanthropic and non-profit initiatives. Stop by Mercedes-Benz of El Dorado Hills to experience a wide selection of Mercedes-Benz luxury cars, presented by Northern California’s leading team of sales advisors. Reach us online, or give us a call. Scores 34 Highway MPG and 23 City MPG! This Mercedes-Benz C-Class delivers a Intercooled Turbo Premium Unleaded I-4 2.0 L/121 engine powering this Automatic transmission. Window Grid Antenna, Wheels: 17 Twin 5-Spoke, Valet Function. *This Mercedes-Benz C-Class Comes Equipped with These Options *Urethane Gear Shift Knob, Turn-By-Turn Navigation Directions, Trunk Rear Cargo Access, Trip Computer, Transmission: 9G-TRONIC 9-Speed Automatic, Tires: 225/50R17, Tire Specific Low Tire Pressure Warning, Systems Monitor, Strut Front Suspension w/Coil Springs, Side Impact Beams. * Stop By Today *For a must-own Mercedes-Benz C-Class come see us at Mercedes Benz of El Dorado Hills, 1000 Mercedes Lane, El Dorado Hills, CA 95762. Just minutes away! *Golden Rule*We are a Golden Rule company dedicating ourselves to world-class customer service in an environment of trust, dignity, and fun. George Grinzewitsch, CEO and Owner, Von Housen Automotive Group For more than 60 years, Von Housen Automotive Group has delivered high-end luxury vehicles to discerning clients throughout the greater Sacramento area, and is the place more people trust for quality, service, and a large selection of Mercedes-Benz vehicles. Von Housen Automotive Group operates three Mercedes-Benz dealerships in Northern California, including Mercedes-Benz of Sacramento, Mercedes-Benz of Rocklin and Mercedes-Benz of El Dorado Hills. The group also owns Mercedes-Benz Sprinter dealerships in both Rocklin and Sacramento. Mercedes-Benz of North America Von Housen Automotive Group has more than 300 dedicated employees and sells approximately $301,000,000 in new and used vehicles, parts and service annually. The team is also a leader in supporting community, philanthropic and non-profit initiatives. Stop by Mercedes-Benz of El Dorado Hills to experience a wide selection of Mercedes-Benz luxury cars, presented by Northern California’s leading team of sales advisors. Reach us online, or give us a call.Scores 34 Highway MPG and 23 City MPG! This Mercedes-Benz C-Class delivers a Intercooled Turbo Premium Unleaded I-4 2.0 L/121 engine powering this Automatic transmission. Window Grid Antenna, Wheels: 17 Twin 5-Spoke, Valet Function. *This Mercedes-Benz C-Class Comes Equipped with These Options *Urethane Gear Shift Knob, Turn-By-Turn Navigation Directions, Trunk Rear Cargo Access, Trip Computer, Transmission: 9G-TRONIC 9-Speed Automatic, Tires: 225/50R17, Tire Specific Low Tire Pressure Warning, Systems Monitor, Strut Front Suspension w/Coil Springs, Side Impact Beams. * Stop By Today *For a must-own Mercedes-Benz C-Class come see us at Mercedes Benz of El Dorado Hills, 1000 Mercedes Lane, El Dorado Hills, CA 95762. Just minutes away! *Golden Rule*We are a Golden Rule company dedicating ourselves to world-class customer service in an environment of trust, dignity, and fun. George Grinzewitsch, CEO and Owner, Von Housen Automotive Group For more than 60 years, Von Housen Automotive Group has delivered high-end luxury vehicles to discerning clients throughout the greater Sacramento area, and is the place more people trust for quality, service, and a large selection of Mercedes-Benz vehicles. Von Housen Automotive Group operates three Mercedes-Benz dealerships in Northern California, including Mercedes-Benz of Sacramento, Mercedes-Benz of Rocklin and Mercedes-Benz of El Dorado Hills. The group also owns Mercedes-Benz Sprinter dealerships in both Rocklin and Sacramento. Mercedes-Benz of North America Von Housen Automotive Group has more than 300 dedicated employees and sells approximately $301,000,000 in new and used vehicles, parts and service annually. The team is also a leader in supporting community, philanthropic and non-profit initiatives. Stop by Mercedes-Benz of El Dorado Hills to experience a wide selection of Mercedes-Benz luxury cars, presented by Northern California’s leading team of sales advisors. Reach us online, or give us a call. Delivers 34 Highway MPG and 23 City MPG! This Mercedes-Benz C-Class delivers a Intercooled Turbo Premium Unleaded I-4 2.0 L/121 engine powering this Automatic transmission. Window Grid Antenna, Wheels: 17 Twin 5-Spoke, Valet Function. * This Mercedes-Benz C-Class Features the Following Options *Urethane Gear Shift Knob, Turn-By-Turn Navigation Directions, Trunk Rear Cargo Access, Trip Computer, Transmission: 9G-TRONIC 9-Speed Automatic, Tires: 225/50R17, Tire Specific Low Tire Pressure Warning, Systems Monitor, Strut Front Suspension w/Coil Springs, Side Impact Beams. * Stop By Today *Test drive this must-see, must-drive, must-own beauty today at Mercedes Benz of El Dorado Hills, 1000 Mercedes Lane, El Dorado Hills, CA 95762. *Golden Rule*We are a Golden Rule company dedicating ourselves to world-class customer service in an environment of trust, dignity, and fun. George Grinzewitsch, CEO and Owner, Von Housen Automotive Group For more than 60 years, Von Housen Automotive Group has delivered high-end luxury vehicles to discerning clients throughout the greater Sacramento area, and is the place more people trust for quality, service, and a large selection of Mercedes-Benz vehicles. Von Housen Automotive Group operates three Mercedes-Benz dealerships in Northern California, including Mercedes-Benz of Sacramento, Mercedes-Benz of Rocklin and Mercedes-Benz of El Dorado Hills. The group also owns Mercedes-Benz Sprinter dealerships in both Rocklin and Sacramento. Mercedes-Benz of North America Von Housen Automotive Group has more than 300 dedicated employees and sells approximately $301,000,000 in new and used vehicles, parts and service annually. The team is also a leader in supporting community, philanthropic and non-profit initiatives. Stop by Mercedes-Benz of El Dorado Hills to experience a wide selection of Mercedes-Benz luxury cars, presented by Northern California’s leading team of sales advisors. Reach us online, or give us a call.Delivers 34 Highway MPG and 23 City MPG! This Mercedes-Benz C-Class delivers a Intercooled Turbo Premium Unleaded I-4 2.0 L/121 engine powering this Automatic transmission. Window Grid Antenna, Wheels: 17 Twin 5-Spoke, Valet Function. * This Mercedes-Benz C-Class Features the Following Options *Urethane Gear Shift Knob, Turn-By-Turn Navigation Directions, Trunk Rear Cargo Access, Trip Computer, Transmission: 9G-TRONIC 9-Speed Automatic, Tires: 225/50R17, Tire Specific Low Tire Pressure Warning, Systems Monitor, Strut Front Suspension w/Coil Springs, Side Impact Beams. * Stop By Today *Test drive this must-see, must-drive, must-own beauty today at Mercedes Benz of El Dorado Hills, 1000 Mercedes Lane, El Dorado Hills, CA 95762. *Golden Rule*We are a Golden Rule company dedicating ourselves to world-class customer service in an environment of trust, dignity, and fun. George Grinzewitsch, CEO and Owner, Von Housen Automotive Group For more than 60 years, Von Housen Automotive Group has delivered high-end luxury vehicles to discerning clients throughout the greater Sacramento area, and is the place more people trust for quality, service, and a large selection of Mercedes-Benz vehicles. Von Housen Automotive Group operates three Mercedes-Benz dealerships in Northern California, including Mercedes-Benz of Sacramento, Mercedes-Benz of Rocklin and Mercedes-Benz of El Dorado Hills. The group also owns Mercedes-Benz Sprinter dealerships in both Rocklin and Sacramento. Mercedes-Benz of North America Von Housen Automotive Group has more than 300 dedicated employees and sells approximately $301,000,000 in new and used vehicles, parts and service annually. The team is also a leader in supporting community, philanthropic and non-profit initiatives. Stop by Mercedes-Benz of El Dorado Hills to experience a wide selection of Mercedes-Benz luxury cars, presented by Northern California’s leading team of sales advisors. Reach us online, or give us a call. Scores 34 Highway MPG and 23 City MPG! This Mercedes-Benz C-Class delivers a Intercooled Turbo Premium Unleaded I-4 2.0 L/121 engine powering this Automatic transmission. Window Grid Antenna, Wheels: 17 Twin 5-Spoke, Valet Function. *This Mercedes-Benz C-Class Comes Equipped with These Options *Urethane Gear Shift Knob, Turn-By-Turn Navigation Directions, Trunk Rear Cargo Access, Trip Computer, Transmission: 9G-TRONIC 9-Speed Automatic, Tires: 225/50R17, Tire Specific Low Tire Pressure Warning, Systems Monitor, Strut Front Suspension w/Coil Springs, Side Impact Beams. * Stop By Today *A short visit to Mercedes Benz of El Dorado Hills located at 1000 Mercedes Lane, El Dorado Hills, CA 95762 can get you a trustworthy C-Class today! *Golden Rule*We are a Golden Rule company dedicating ourselves to world-class customer service in an environment of trust, dignity, and fun. George Grinzewitsch, CEO and Owner, Von Housen Automotive Group For more than 60 years, Von Housen Automotive Group has delivered high-end luxury vehicles to discerning clients throughout the greater Sacramento area, and is the place more people trust for quality, service, and a large selection of Mercedes-Benz vehicles. Von Housen Automotive Group operates three Mercedes-Benz dealerships in Northern California, including Mercedes-Benz of Sacramento, Mercedes-Benz of Rocklin and Mercedes-Benz of El Dorado Hills. The group also owns Mercedes-Benz Sprinter dealerships in both Rocklin and Sacramento. Mercedes-Benz of North America Von Housen Automotive Group has more than 300 dedicated employees and sells approximately $301,000,000 in new and used vehicles, parts and service annually. The team is also a leader in supporting community, philanthropic and non-profit initiatives. Stop by Mercedes-Benz of El Dorado Hills to experience a wide selection of Mercedes-Benz luxury cars, presented by Northern California’s leading team of sales advisors. Reach us online, or give us a call.Scores 34 Highway MPG and 23 City MPG! This Mercedes-Benz C-Class delivers a Intercooled Turbo Premium Unleaded I-4 2.0 L/121 engine powering this Automatic transmission. Window Grid Antenna, Wheels: 17 Twin 5-Spoke, Valet Function. *This Mercedes-Benz C-Class Comes Equipped with These Options *Urethane Gear Shift Knob, Turn-By-Turn Navigation Directions, Trunk Rear Cargo Access, Trip Computer, Transmission: 9G-TRONIC 9-Speed Automatic, Tires: 225/50R17, Tire Specific Low Tire Pressure Warning, Systems Monitor, Strut Front Suspension w/Coil Springs, Side Impact Beams. * Stop By Today *A short visit to Mercedes Benz of El Dorado Hills located at 1000 Mercedes Lane, El Dorado Hills, CA 95762 can get you a trustworthy C-Class today! *Golden Rule*We are a Golden Rule company dedicating ourselves to world-class customer service in an environment of trust, dignity, and fun. George Grinzewitsch, CEO and Owner, Von Housen Automotive Group For more than 60 years, Von Housen Automotive Group has delivered high-end luxury vehicles to discerning clients throughout the greater Sacramento area, and is the place more people trust for quality, service, and a large selection of Mercedes-Benz vehicles. Von Housen Automotive Group operates three Mercedes-Benz dealerships in Northern California, including Mercedes-Benz of Sacramento, Mercedes-Benz of Rocklin and Mercedes-Benz of El Dorado Hills. The group also owns Mercedes-Benz Sprinter dealerships in both Rocklin and Sacramento. Mercedes-Benz of North America Von Housen Automotive Group has more than 300 dedicated employees and sells approximately $301,000,000 in new and used vehicles, parts and service annually. The team is also a leader in supporting community, philanthropic and non-profit initiatives. Stop by Mercedes-Benz of El Dorado Hills to experience a wide selection of Mercedes-Benz luxury cars, presented by Northern California’s leading team of sales advisors. Reach us online, or give us a call. Scores 34 Highway MPG and 23 City MPG! This Mercedes-Benz C-Class delivers a Intercooled Turbo Premium Unleaded I-4 2.0 L/121 engine powering this Automatic transmission. Window Grid Antenna, Wheels: 17 Twin 5-Spoke, Valet Function. * This Mercedes-Benz C-Class Features the Following Options *Urethane Gear Shift Knob, Turn-By-Turn Navigation Directions, Trunk Rear Cargo Access, Trip Computer, Transmission: 9G-TRONIC 9-Speed Automatic, Tires: 225/50R17, Tire Specific Low Tire Pressure Warning, Systems Monitor, Strut Front Suspension w/Coil Springs, Side Impact Beams. * Stop By Today *Test drive this must-see, must-drive, must-own beauty today at Mercedes Benz of El Dorado Hills, 1000 Mercedes Lane, El Dorado Hills, CA 95762. *Golden Rule*We are a Golden Rule company dedicating ourselves to world-class customer service in an environment of trust, dignity, and fun. George Grinzewitsch, CEO and Owner, Von Housen Automotive Group For more than 60 years, Von Housen Automotive Group has delivered high-end luxury vehicles to discerning clients throughout the greater Sacramento area, and is the place more people trust for quality, service, and a large selection of Mercedes-Benz vehicles. Von Housen Automotive Group operates three Mercedes-Benz dealerships in Northern California, including Mercedes-Benz of Sacramento, Mercedes-Benz of Rocklin and Mercedes-Benz of El Dorado Hills. The group also owns Mercedes-Benz Sprinter dealerships in both Rocklin and Sacramento. Mercedes-Benz of North America Von Housen Automotive Group has more than 300 dedicated employees and sells approximately $301,000,000 in new and used vehicles, parts and service annually. The team is also a leader in supporting community, philanthropic and non-profit initiatives. Stop by Mercedes-Benz of El Dorado Hills to experience a wide selection of Mercedes-Benz luxury cars, presented by Northern California’s leading team of sales advisors. Reach us online, or give us a call.Scores 34 Highway MPG and 23 City MPG! This Mercedes-Benz C-Class delivers a Intercooled Turbo Premium Unleaded I-4 2.0 L/121 engine powering this Automatic transmission. Window Grid Antenna, Wheels: 17 Twin 5-Spoke, Valet Function. * This Mercedes-Benz C-Class Features the Following Options *Urethane Gear Shift Knob, Turn-By-Turn Navigation Directions, Trunk Rear Cargo Access, Trip Computer, Transmission: 9G-TRONIC 9-Speed Automatic, Tires: 225/50R17, Tire Specific Low Tire Pressure Warning, Systems Monitor, Strut Front Suspension w/Coil Springs, Side Impact Beams. * Stop By Today *Test drive this must-see, must-drive, must-own beauty today at Mercedes Benz of El Dorado Hills, 1000 Mercedes Lane, El Dorado Hills, CA 95762. *Golden Rule*We are a Golden Rule company dedicating ourselves to world-class customer service in an environment of trust, dignity, and fun. George Grinzewitsch, CEO and Owner, Von Housen Automotive Group For more than 60 years, Von Housen Automotive Group has delivered high-end luxury vehicles to discerning clients throughout the greater Sacramento area, and is the place more people trust for quality, service, and a large selection of Mercedes-Benz vehicles. Von Housen Automotive Group operates three Mercedes-Benz dealerships in Northern California, including Mercedes-Benz of Sacramento, Mercedes-Benz of Rocklin and Mercedes-Benz of El Dorado Hills. The group also owns Mercedes-Benz Sprinter dealerships in both Rocklin and Sacramento. Mercedes-Benz of North America Von Housen Automotive Group has more than 300 dedicated employees and sells approximately $301,000,000 in new and used vehicles, parts and service annually. The team is also a leader in supporting community, philanthropic and non-profit initiatives. Stop by Mercedes-Benz of El Dorado Hills to experience a wide selection of Mercedes-Benz luxury cars, presented by Northern California’s leading team of sales advisors. Reach us online, or give us a call.